Let's embrace the movement of sustainable development and take ideas that have a social impact from concept to creation in a matter of days!! 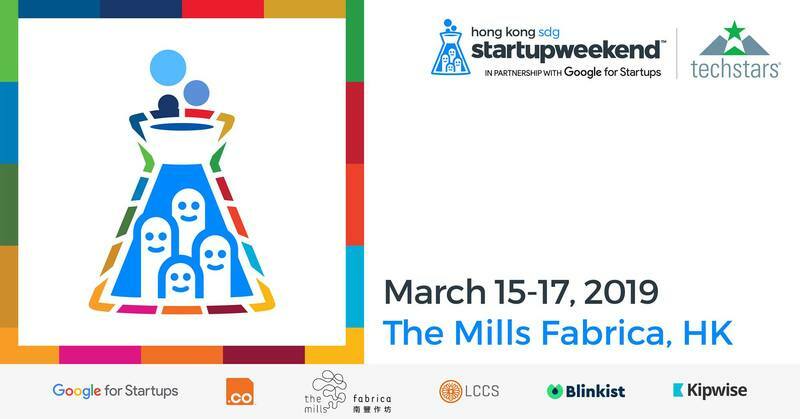 Join us from March 15-17th, 2019 at Startup Weekend Hong Kong and its first Sustainable Development Goals (SDGs) edition at The Mills Fabrica. We're gathering (future) innovators who are eager to create solutions to end poverty, protect the planet and ensure that all people enjoy peace and prosperity. This boot camp will be running for 54 hours, giving you a framework and mentorship to transform an idea into reality, with team formation, user research, prototyping, and pitching to investors. Come to be a hero to change the world! How can I become one of the heroes? By joining and taking your idea on social impact from concept to creation you will become a hero! Grab your ticket now at https://startupweekendsdg.eventbrite.com/ and be part of the change! What're the goals for heroes? Heroes goals are to achieve the Sustainable Development Goals (SDGs) which are proposed by the United Nations. The SDGs are the blueprint to achieve a better and more sustainable future for all. They address the global challenges we face, including those related to poverty, inequality, climate, environmental degradation, prosperity, and peace and justice. The Goals interconnect and in order to leave no one behind, it is important that we achieve each Goal and target by 2030.